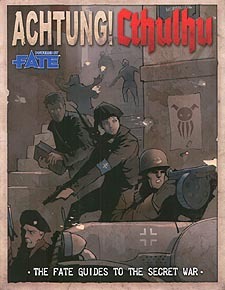 A terrifying World War Two setting, designed for use with the Fate Core Roleplaying game. An array of historical and fictional material to help you create exciting characters from across Europe, the British Commonwealth and the United States. The Fate Guides to the Secret War is the definitive guide to the late 1930s and '40s for use by players and gamemasters alike.